This is made for the travel retail market. 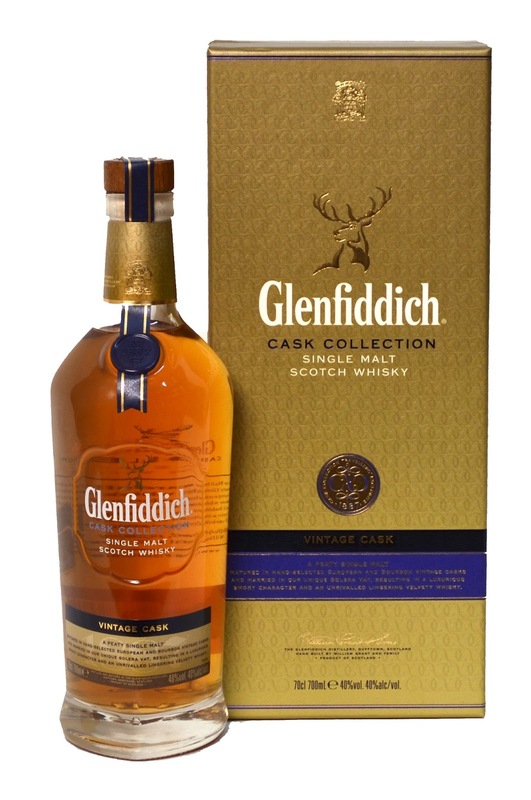 From Glenfiddich “A peaty single malt matured in hand-selected European and bourbon vintage casks and married in our vintage cask solera vat”. Which casks is not vintage casks?? Well, let’s give it a go. Nice light peat mixed with some citrusy notes on the nose. Almost like a not so peated Bowmore (like Legend). The taste is full of peat, vanilla and marzipan. Some fresh fruit in the finish accompanies the peaty notes. Some of the peat turns to smoke in the end. Not bonfire smoke, but more like cigar or tobacco smoke. Oh, I would love to try this at a higher ABV. Not a very complex whisky, but it does the job. Still too watery for my palate though, but definitely the best in the Cask series in my opinion. I will give this 85/100 (21/22/21/21).